An aspect of Marketing hugely underrepresented across the content knowledgescape, is material on how to do developer marketing effectively. Despite being the kingmakers of our times, anyone who’s worked in technology designed for this audience, will attest to the fact that Developers are notoriously well known for having an aversion to all things marketing-related. We all know the principles of Marketing are industry agnostic, yet from an audience engagement perspective, connecting with Developers requires a much more subtle approach. So much so that to be an effective developer advocate, I suggest you put aside everything you thought you knew about tried and tested marketing practices, and accept the fact they often won’t translate for this audience. This isn’t just for Developer marketing, but is a valid statement for any SaaS-based business model: embrace martech because it’s your friend. There’s probably no better free tool out there than Google Analytics, which I used for all things conversion-tracking, web traffic and advertising related. From using Buffer to manage our social comms and Cyfe for monitoring what’s being said, to using Mailchimp for newsletter comms and Intercom for CRM, my list of tools is long. By far, one of the best I can recommend for viewing how developers interact with on-page web content is Hotjar, a great tool for optimizing webpages via A/B testing. When we ran a survey earlier in the year, the results revealed 68% of our audience uses ad-blocking technology. Media publishers will always try and justify the case for why impression-based advertising is still relevant. And you may subscribe to that view. There are lots of reasons why running ads on websites with quality content and followers from within certain developer circles is a sound investment. But ask yourself the question: are your objectives of raising brand awareness, driving traffic, or creating a fan-base for your content being fulfilled, if only a small percentage of that publisher’s potential audience views the ad content? We all know this one. When it comes to leading your developer marketing efforts with content marketing, access to relevant content is a strategy guaranteed to drive engagement and social shares. The tip here is making sure the content takes on a how-to, educational, and/or tutorial-based approach, aimed at helping developers solve universal problems that are here to stay (the ‘evergreen’ bit). Indexed by search engines it’ll ensure your content secures a longer lease of life for itself through organic SEO. Case in point, a ‘how to’ article we published last year on how to fix a pesky security issue still consistently ranks highly in monthly web hits. It’s the gift that keeps on giving. I included this to get you thinking about your team and what sort of resources you’re going to need. While it’s essential your hires have some marketing know-how (especially martech experience), a huge part of your success will come from how well your marketing communicates value. My experience has been that if you hire people who share a common vocabulary with Developers – i.e. can credibly speak of the merits of your product in technical talk, it will be much, much easier to create meaningful engagement. My top tips? Look to hire someone who can mirror the native lingo, is a true technophile at heart and ideally, actually knows how to code. Which can only really mean one thing – variety. There are some fundamentals of communication that just don’t change: be relevant, provide the right information, to the right audience, at the right time. Never assume your audience is one big homogenous blob, just because they all happen to be Developers. We tried and tested dozens of engagement channels to refine things down to the ones we’ve found work best for us. You have to make your content work really hard as you repurpose for different platforms and communities. Syndicating your content to existing points where your audience congregates and being visible in the right places so people can easily find you is what really counts. Nothing gets these guys going more than demonstrable street cred in the form of fans (and fanboys), stars, forks, and likes. B2B Developer marketing is very much akin to consumer marketing in that you often have to focus on the individual, versus messaging about what’s in it for their organization. And while the path to getting there starts with a stellar product, you need to invest in community relations across the developer network, just like you would with anyone else who shares common interests. This community is one that’s super active online, and as your star rating on Github starts to rise, so will the momentum around your product as developers begin to champion it. Developers love it when your product or service natively integrates with other parts of their technology stack. Integrations with other technology partners are a great way to demonstrate business benefits to your target audience, handing you a messaging opportunity to showcase how your solution can differ from the competition. Furthermore, the benefits you get from doing co-branded marketing are plentiful, offering up a goldmine of opportunities to get introduced to prospective customers through co-hosted webinars, live meet-ups and guest blogging to name but a few. To tap into a Developer’s psyche and win mindshare, there are no short cuts. There’s no such thing as a silver bullet. This is a relationship that you’re going to have to work incredibly hard to maintain. It’ll be fickle and you’ll need to develop skin as thick as a rhino to bounce back every time you’re told to ‘cut the marketing cr*p’. And be prepared to be discarded on a sudden whim, as developers have the shortest of attention spans and your product can fall-out of favor just as easily as it’s adopted. Therefore the moral of the story is to remain relevant, providing helpful content and staying in tune with how your product marketing lends itself to solving real problems. 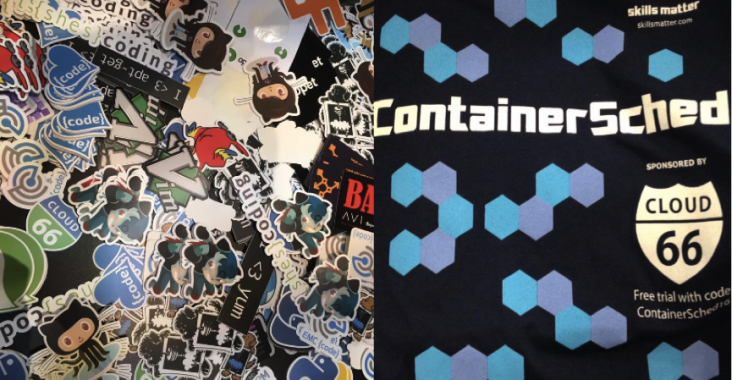 And if all else fails, just blow your entire marketing budget on a whole horde of branded t-shirts, cutesy mascots and laptop stickers to give away at upcoming meet-ups. Spilling the Marketing Beans is an outlet to write about the things that interest me (plus the occasional irreverent rant). Is failure part of the journey too? Copyright © 2019 Spilling the Marketing Beans. All Rights Reserved.